If you are a Team Mom, then Congratulations! You have a very important role. It is fun and rewarding. You will find yourself a coach’s assistant, administrative assistant, fellow coach, parent liaison, and have a fun connection with the boys. It has been a very rewarding experience for me, one that I love doing because it is helping our teams do something so very special. You can really help make baseball a very good experience for these boys. This is my 12th season doing this with my husband, the head coach, and with our son who is passionate about baseball. I am happy to help you along this journey…. This is how it has worked for us. First, I get a copy of our players, parent phone numbers, and email addresses. If you are married to your head coach, this information should come easy to you. If you are not married to your head coach and/or working with someone else, then please make sure you get this information. In our situation, we get our roster and parent information and our practices start almost immediately. So my hubby/coach has to call the families pretty quickly so they know what day to show up for practice. Usually there is a team meeting the night of the first practice (or whenever your coach chooses) … so please make sure to attend so you meet the parents and say hello. After the coach’s first introduction, either by call, email, or parent meeting, I usually send everyone an email further introducing myself. Please include your cell phone number in every email in case parents need to contact you. When is the game schedule coming out? When do we bring snacks and drinks for our team? I will answer these questions… usually in our case, the game schedule doesn’t come out for another week or so, and I will assure them I will get it to them as soon as it comes out. Then, at that time I will coordinate post-game snacks and drinks. We have started to ask for our parent’s cell phone numbers for a texting list. Parents really appreciate this. This is great to communicate those last minute cancellations or field changes that needed to be communicated immediately. Especially when you are on a travel team or moving around from one location to another, it is important to have that direct line of communication. Texting is even more efficient than email. There are team communication apps to assist with this now but require a sign up or install, and cost. If parents have to sign up, register their number, or install an app, we have found, you only get half of them. You’ll have to text or email out the important message anyway. In Recreational baseball: At the first practice, it is important to get every player’s desired number for the back of the jersey. In some situations we have been given jerseys with numbers 1-12 to pass out, in other cases the boys can choose any number they want. It is important to research the t-shirt screen printing places in your area. We had some that charge as high as $7.50 to screen print a name (numbers were already on) on the back of the jersey but can have it done in 48 hours. Then, we have some that will take as long as two and a half weeks. I am not happy with the high cost and it definitely should not take 2½ weeks. Even the store owner was mortified at this time frame and gave us the screen printing cost for free. The perfect situation is to find someone that can do it for around $5 and can do it very quickly. A few days seems acceptable but the trick is to get started early so you’ll have time to get your jersey back before the first game. Remember there are several other teams turning their shirts to be screen printed also. Some leagues require a medical release form to be filled out by each parent with a doctor’s contact information, parent info, and date of last tetanus booster in case of an emergency. Parents can return these to you at practice or email these to you for their convenience (and you can print them out). It is necessary to make sure you get one from every parent. I usually keep a notebook with these forms, game schedule, and snack/drink schedule in a small notebook and in my bag. That way I’m always prepared if anyone has a question. Our league also asks each family on our teams to provide snacks and drinks for after one of the games in the season. I always ALWAYS let my parents sign up for whatever game works for them because if they know the time that they will be out of town or will not be able to attend games, it take the stress out of not having to worry about switching around with another family for snack. This is just my personal preference. I do not like being signed up for something and then it falling on a weekend if I can’t be there. It happens every time. Then it’s just one more thing to have to worry about. Usually, all my families will respond to sign up within the day. I do have a couple of parents that will say, “just sign me up wherever” so I will just put them in the missing weeks. I like to give them the option to sign up for what works for them. I feel it is more respectful of their time. If a parent does not sign up for snack, I’ll ask them if they can take a particular game. They will always say yes. I have found that parents are happy to help. If you are nice, they’ll be nice, too. I assure them that I will send them an email reminder 1-2 days prior to their scheduled game. I found they are thankful for this, too. I feel that coaching or being a team mom is an outreach to our community. It is an opportunity to touch lives. You never really know what kind of home that these kids are coming from. Some don’t have good situations at home, even if you live in a nice area. Some have parents dealing with divorce, or illness, or a disability. Some have hardships beyond our comprehension. Some have never played baseball before and are scared to death. Some don’t have dads at home to work with them or to simply play catch. Baseball could be the very thing that lets them escape from all of that. It is our job to give them a few hours a week of positive, uplifting, confidence building, team building fun. 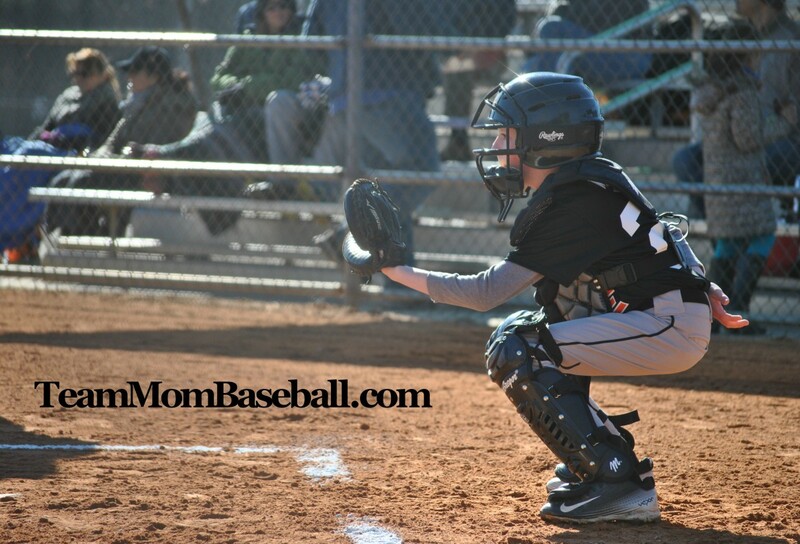 It is important to build a good, long lasting baseball experience that they will remember forever.